I don’t have much to say about this week’s recipe for French Fridays with Dorie, Chicken Breasts Diable, except that it was a 5-star, hands-down winner! What a perfect weeknight entrée! 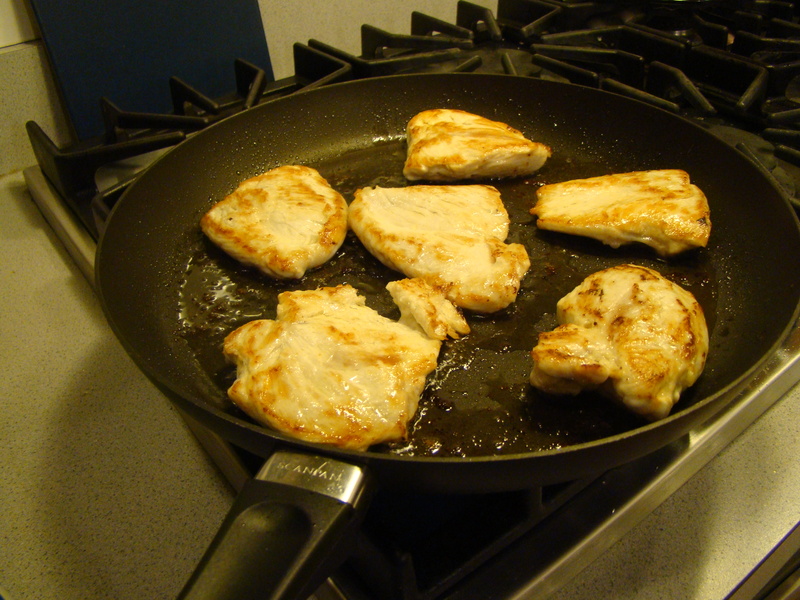 Chicken cutlets, from pounded boneless chicken breasts, are pan-fried until they’re golden brown. 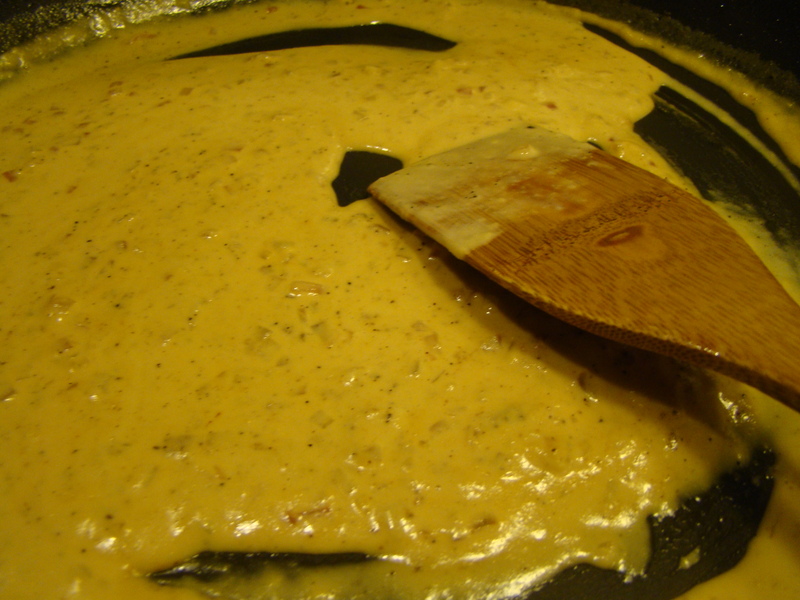 Then, you make a quick pan sauce with shallots, garlic, mustard, white wine, cream, and Worcestershire sauce That’s about it. We loved this one. (Gasp, Howard liked it two weeks in a row!) Leftovers were delicious as well, despite Dorie’s indication that this one doesn’t keep well. 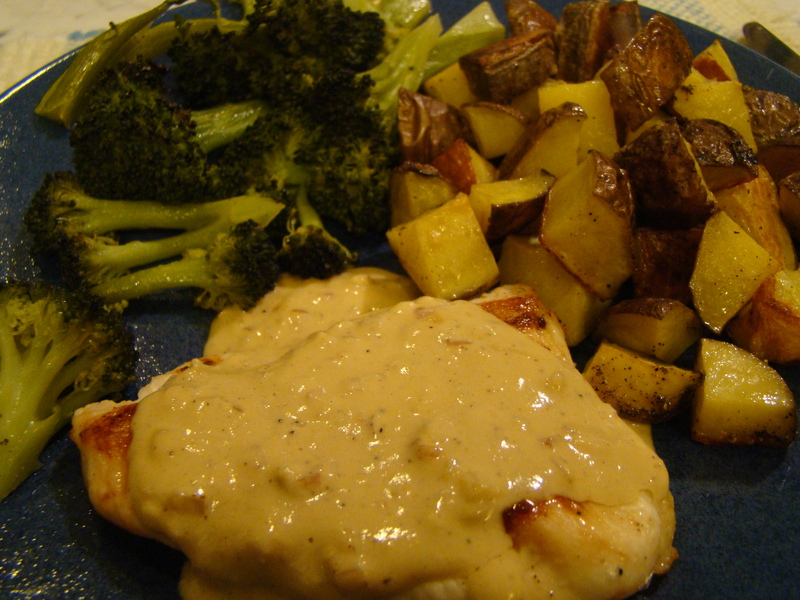 I cut the chicken breasts in half for smaller servings and served the chicken with roasted potatoes and roasted broccoli so I didn’t have to mind multiple things on the stovetop. In addition to the chicken, I think that this devilishly good sauce would have been the perfect thing to top the pork medallions we sautéed a few weeks ago. Check out the other Doristas’ devilish dishes here. I couldn’t find the recipe online, but you can find it in Dorie Greenspan’s book Around My French Table.